The welfare state has been the jewel in the crown of British politics for over 70 years. The concept was brought to life by a number of Liberal reforms during the first two decades of the 20th century and has been improved upon and matured by successive Labour Governments, starting with Clement Attlee’s Administration following the 1945 general election. The central principle that led to those Acts of Parliament was the delivery of social security—a safety net of the state, there to catch people who are down on their luck and who have experienced trauma in their lives, whether that be illness, accident or unemployment. This right to social security was then enshrined in article 22 of the universal declaration of human rights in 1948. The notion of social security and welfare is not one that the Labour party wishes to monopolise, and we must recognise the symbolic importance of the fact that many aspects of the welfare state have been retained during the tenure of every Government since 1945. This Conservative Government seem determined to do everything they can to undermine this social contract and undo 70 years of work. Under the guise of austerity, the Tories have taken through the biggest cuts to welfare for 100 years, and since 2010 we have seen an assault on benefits for disabled people, working people and single parents, among others. The proposed cuts to ESA and universal credit are yet another act to deliberately hurt the working class. The Resolution Foundation has undertaken research that suggests that cuts to universal credit will leave 2.5 million working families, on average, £2,100 worse off. It also estimates that by 2021 the poorest 50% of households will be £375 worse off on average. How can such cuts stand up to the scrutiny of an impact assessment or distributional analysis? They simply cannot, and I urge the Government to honour their word and reintroduce an adequate distributional analysis of their economic approach. The Institute for Fiscal Studies identifies that the effect of the changes to tax and welfare proposed in the 2015 autumn statement would mean losses 25 times greater for those in the bottom decile than those in the top decile. It also claims that almost 500,000 children will be plunged into absolute poverty by 2020 as a direct result of planned tax and benefit reforms. The Office for Budget Responsibility has confirmed that keeping cuts to the work allowance of universal credit means a £9.6 billion reduction in support for working families over the next five years. That is not quite the “country that works for everyone” that the Prime Minister aspires to. 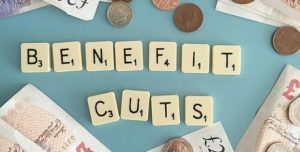 We have already seen the Government backtrack on their cuts to PIP, and we are still to find out how they propose to fill the £4.8 billion black hole of committed spending that it left. The opposition to these cuts is not limited to the Opposition Benches, and we have seen a number of the Government’s own Members voice their concerns, the most important of which was the resignation of the former Secretary of State for Work and Pensions, Mr Duncan Smith—whose idea universal credit was—because he felt the cuts were going too far. He has most recently called on the Chancellor to cancel the planned tax cuts and to reverse cuts to universal credit. The concept of an employment and support allowance was based on assessing the difference between those with the hope of recovery and those with a chronic illness. For those people with the aim of becoming well again and returning to work, an amount has been paid on top of what they would have received if they had been on jobseeker’s allowance. This additional amount supports them to undertake work-related activity as a means of transition back to the workplace. There are currently 492,180 disabled people nationally in the employment and support allowance work-related activity group. Should the cuts be implemented, those people will be £30 a week worse off, and equivalent cuts to universal credit will come on top of the £24 billion of support that has already been taken away from disabled people by this Government. Universal credit was originally designed to ensure work that pays, but cuts to the work allowance will completely undermine that. While I can commend the aim of making work pay, I doubt the ability of universal credit to deliver that. The concept has been flawed from the start, and the Government have been forced to extend its roll-out seven times since March 2013. Cutting the work allowance of universal credit and abolishing the ESA work-related activity benefit will clearly be counterproductive. It is likely to increase the number of long-term unemployed people and penalise sick or disabled people who are trying their best to return to work. “the Work Related Activity Group is not comprised of people who are fit and healthy to work. It is made up of people who the Government has found to be currently unable to work due to illness or disability. It is illogical and medically impossible to incentivise a group of people to recover their health by reducing the amount they have to live on”. I fully support the notion of full employment, but we must recognise that some people need support and time to return to the workplace following illness or disability. Others will not work at all. In a modern, progressive, compassionate society—which the United Kingdom claims to be—is it not okay to recognise that some people are unfortunately not in a position to work? Instead, we have a Tory Government with a perverse view that our country is made up of scroungers and shirkers who deliberately avoid work, and that the only way to encourage them back to work is to take away the little support they receive to help them on their road to recovery. I have never met anyone who deliberately chooses not to work and not to reap the benefits that work brings. It is for these reasons that I urge the Government to reconsider their irresponsible and pernicious strategy to make cuts to ESA and universal credit, and carefully to consider the impact this will have on sick and disabled people, whose efforts to deal with the trials of life and return to work should be applauded, not ridiculed.